New York City was recently hit by hurricane Sandy. A record storm surge brought flooding, downed tree’s, spread debris, caused fires and power outages on a scale the area has never before experienced. The death toll in NYC is at 37 and rising. Many area’s throughout the city suffered great loss & extensive damage, none so devastating or as close to my heart as the Rockaway peninsula. 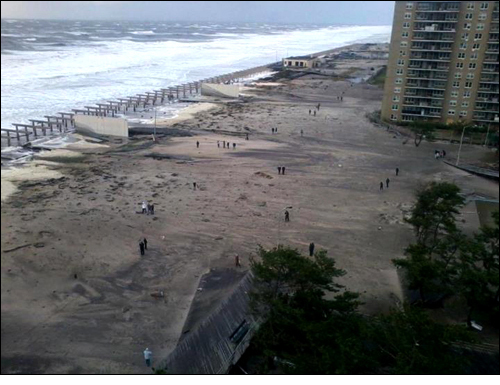 Storm surge from both the bay and ocean sides of the peninsula overwhelmed the area completely washing away many sections of the boardwalk, tearing up roads and flooding many homes. 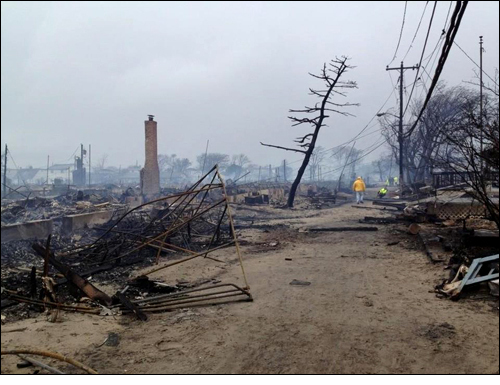 A large fire decimated the neighborhood of Breezy Point destroying over 110 homes there. My thoughts are with those who lost everything in this terrible disaster and those who are now living there without power, food and many basic necessities. Anyone wishing to help can contact me and I will put you in touch with the proper people or organizations. I first heard of the Rockaways as a child when my father would tell me stories of driving from there from Staten Island to visit his cousins. Growing up in CT it was hard to fathom somewhere like New York City, most frequently pictured with its skyscrapers, large crowds and traffic, could also have a beautiful beachfront landscapes. My first 10 years in New York City I lived close to the Rockaways and frequently took the train there for day trips and walks along the boardwalk. The subway ride getting there is one of the most unique in all of the city as it stretches over the water, across Jamaica Bay, through Broad Channel and into the Rockaway peninsula. 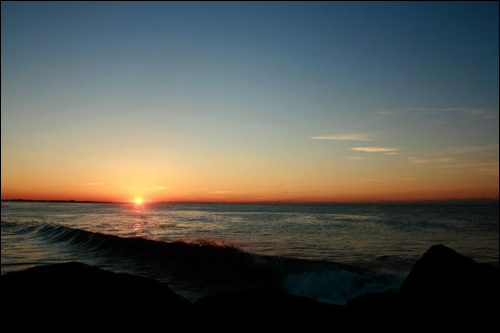 Through my trips there I discovered the Rockaways as both a place of beauty and contradiction. It is a place that embodies New York City’s greatest extremes like no other I have experienced. There are beautiful parks and homes. There are some less beautiful, grittier places. All which are set against the backdrop of breathtaking beaches. Over the years I made many trips to the Rockaways. I would sit on the jetty’s and listen to the sound of the waves crashing in, while pondering some of my life’s biggest decisions, or just reflecting. The Rockaways became a special place I could go within the city, to escape the everyday places and things that defined my life in the city. In recent weeks I had even recently given serious consideration to moving there for a while and had spent time online looking at apartments. A consideration I will more than certainly have to re-examine. Residents of the Rockaways, like all NY’ers are strong and I have no doubts that in the face of this adversity, they will rebuild their community, stronger and even safer. 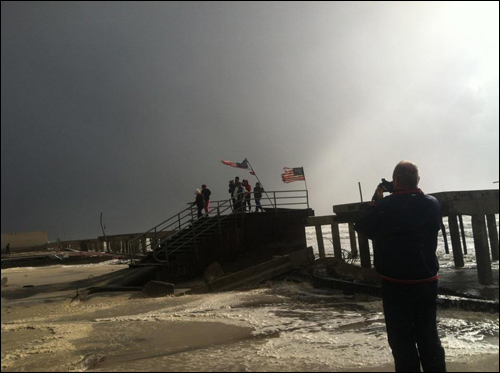 I am confident the Rockaways will once again be a place special and close to my heart.